The Restricted Growth Association (RGA) is a registered charity (No 261647) that provides information and support to people of restricted growth and their families. We have a membership comprised of full members, their families and friends, and medical professionals with an interest in restricted growth. 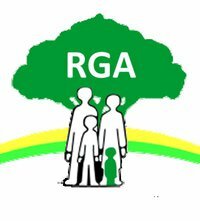 The RGA provides support to those experiencing the social and medical consequences of restricted growth (dwarfism).Our goal is to reduce the disadvantages of people with dwarfism by helping to increase their knowledge, confidence and ability to meet the challenges that they face as a result of their condition. We also aim to ensure that the diversity of the short stature community is promoted and celebrated. The Association is a forum for the exchange of information and advice, which is provided to people with restricted growth across the UK. The RGA publishes advisory booklets and a quarterly newsletter, which we are constantly updating and developing. Meetings of RGA members take place in various forms, including the annual National Convention, youth trips, family outings and regional events. Crucially, the RGA also provides a network for adults and children throughout the UK who have a rare genetic condition. By offering opportunities for people with dwarfism to connect with those who have first-hand experience of the same or similar conditions, we encourage the sharing of mutual support, common experiences, and practical solutions to everyday life problems. The RGA, formerly known as the Association for Research into Restricted Growth, was established in 1970 as a self-help organisation concerned with all aspects of the well-being of people with restricted growth. Restricted growth affects approximately 1 in 10,000 births per year and it is estimated that there are around 6,000 people who have a restricted growth condition in the UK. There are over 400 medical conditions that cause short stature and over 80% of individuals with a restricted growth condition are born to parents of average height. The most common type of restricted growth amongst RGA members is achondroplasia. Restricted growth conditions are comparatively rare, but they unite us as part of a small peoples’ community. Representing people of restricted growth and acting as an advocate on their behalf.